Is Narendra Modi another Sanjay Gandhi? 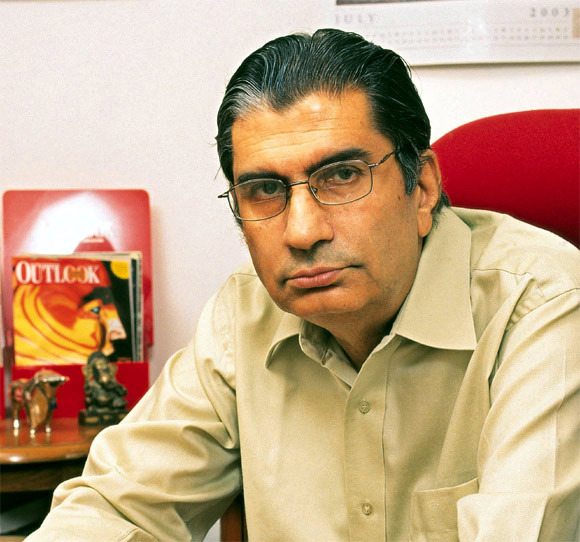 Vinod Mehta, editor extraordinaire, speaks to Rediff.com's Saisuresh Sivaswamy in an eloquent interview. Before Rahul Gandhi, there was his father Rajiv Gandhi. 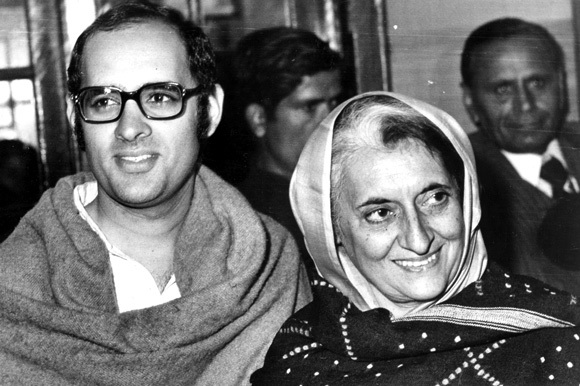 And before that, there was his younger brother Sanjay Gandhi, the one chosen to succeed Prime Minister Indira Gandhi, the one who ran riot during the Emergency imposed by her in 1975. As a stunned country witnessed his shenanigans with sullenness and voted the mother-son duo out in 1977, journalist Vinod Mehta, then editor of the girlie magazine Debonair, published a biography of the rising son. Published by Jaico in 1978, The Sanjay Story got lost in the avalanche of quickie books on the Emergency. "Mine is the only biography of him till date, all the others dealt with the Emergency," Mehta, who retired last year as editor-in-chief of Outlook magazine, but remains an advisor to the magazine, pointed out in the course of a conversation with Rediff.com's Saisuresh Sivaswamy in his New Delhi home. Late last year, more than 30 years later, HarperCollins reissued the book, soon after Mehta's memoir, Lucknow Boy, was published. Vinod Mehta, arguably India's finest magazine editor, recounts why he thinks Sanjay Gandhi is relevant today when everyone around seems to prefer a 'strong leader.'. Barring old fogies like us, does anyone even remember Sanjay Gandhi now? Does the young generation even care to know? Does he matter anymore? He is a forgotten figure. I don't think he matters today, but the Emergency (still) does -- how easily it was achieved; how easily people fell in li#8800 how people of great integrity and character who you think would stand up against it... how easily they agreed. I am talking here about people close to Mrs Gandhi, how Sanjay became their boss, etc. He also matters in one other way, and I hope it is a false parallel... There is some yearning now in the country for a strong leader; somebody who gets things done. 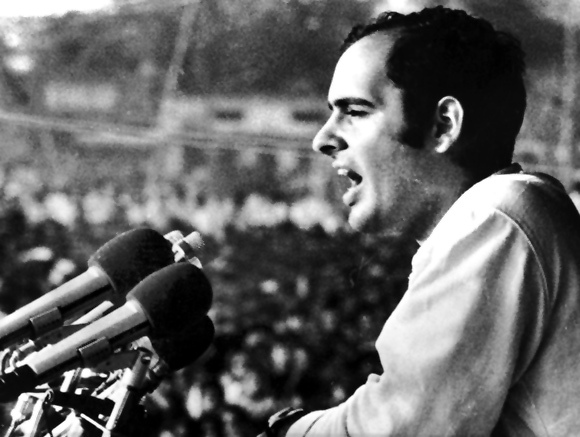 Sanjay Gandhi's charm, or appeal, at that time was precisely this -- that he was able to get things done, that he cut through the red tape, that there were many processes and procedures which he was able to bypass. For example, family planning or population control was high on the priority list of the country, but nobody had been able to do anything about it till Sanjay Gandhi came along with his strong-arm methods and compulsory sterilisation. He got it done, like he got the slums cleared, the demolitions organised. To him, the means were not as important as the end. I think something like that is happening today. The appeal that someone like Narendra Modi holds is precisely this -- that he is a good administrator, he gets things done. Don't ask too many questions about how he gets it done though. But that's exactly what is dangerous because that is how authoritarianism comes in. It always comes in with public consent. Hitler was democratically elected. He used that mandate to slowly but surely suppress civil liberties, human rights, violate the constitution, etc. So there's a parallel there. So, in that sense, is your book a warning? Yeah, I think it's a warning that a strong leader is... one has no objection to a strong leader, but you have to be strong within the Constitutional process. Sanjay was called the extra-Constitutional authority. It's good if you can get things done and speed up governance. But you have to do it without saying the environmental law is useless. You can't say what's the problem if 10,000 people are displaced from point A to point B because there's so much mineral, so much bauxite or iron where they are right now. When people say they want a strong leader, they are not very clear about what this means. They just want to see what he has achieved. So a leader can say FDI has gone up by so much, so much more mineral wealth is being extracted from India, I have cleaned up so many slums. But what happened to the people in the slums? What happened to the people who were living on top of the mineral wealth? Those questions also need to be answered. Some people get upset that the Constitutional way of doing things takes too much time. We are always given the model of Singapore and China, of how they do these things in 24 hours. There's this great passion for something called single-window clearance, but what does it actually mean? It means that you go to one point and get all the clearances. Somebody said if you want to get a proposal okayed in India, you have to go to 27 different ministries or something like that. I think people find that cumbersome and call it the bureaucratic problem. Some of that bureaucratic delay can be removed. But many of those ways of doing things have some merit in them. They protect the rights of the disempowered, the poor. 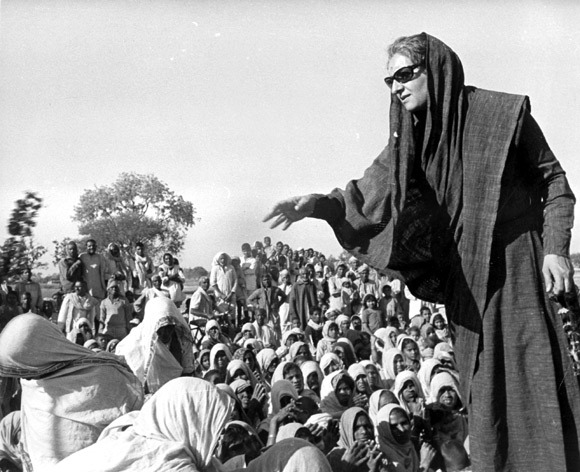 Image: Indira Gandhi meets women in rural India. More than asking what made you write the Sanjay Gandhi biography in the first place 30 years ago, what made you come out with an updated one now? 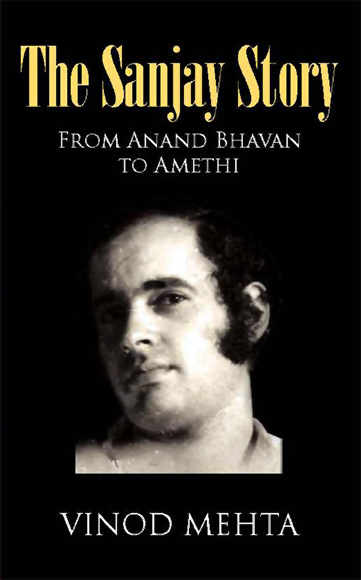 Where is the buzz around Sanjay Gandhi now that could warrant the book? This book has been languishing since 1978 and, after the success of Lucknow Boy, some publishers wanted to know what else had I done. I told them there was a Meena Kumari book and there was a Sanjay Gandhi book. They expressed interest in both and I was very flattered that the book that I had written when I was so raw and inexperienced had found some takers. I was keen that they should be reissued because I was very raw... I wanted to see what kind of biography I had produced then. I am a very poor judge of my own work so I thought if it comes out now and people read it I might get some feedback. It is not as if I was pushing for this book to be reissued. In fact, publishers were pushing it. They thought that since Lucknow Boy had done so well, they will be able to flog some books. That was the motivation. When you read the book today what strikes you most about it as a writer? I was reading it this afternoon actually, and I had forgotten about it. In fact, when the publishers wanted it reissued, they went looking for copies and there were no copies available. There's a chap called Jerry Pinto (the Mumbai-based journalist and writer) who had a copy of the book but for some reason he wouldn't part with it. So HarperCollins got him to photocopy the book and that's the only copy we had. As I re-read it, I was pleasantly surprised, at the risk of sounding immodest, that I had done a reasonable job considering my experience, considering how raw I was, considering that no one had heard of me, considering access was such an important thing. I don't think an interview with me was very compelling for these people, but I managed it. I mean, if you said you were the editor of Debonair and were writing Sanjay Gandhi's biography, they'd start laughing. It's good to see I'd got hold of so many people and that they spoke to me at some length. What strikes me is that it is not as bad you think it might be because it was written in a very early stage in my professional career. Image: Vinod Mehta wrote The Sanjay Story early in his career as a journalist. Looking back today, after the lapse of so many years, is there anything you'd have done differently about the book if you were to write it today? No. In some way, the rawness and inexperience and lack of sophistication has its own charm because it tells the reader what kind of person I was at that time, how much I knew about the art of writing a biography. Which, quite frankly, was not too much. Therefore, when it was reissued, I didn't touch it except for writing a new introduction. I told Naveen that if I change his stuff, then everybody will ask me to relook at what was written. The Congress had lost power and the Janata Party was in power at the time the book was written. The atmosphere was very surcharged. There were all kinds of rumours floating about Indira Gandhi and Sanjay Gandhi. Half of them were untrue, but it was the time of rumours and people wanted it because they had come out of the Emergency. They were prepared to believe anything. Some of the right people who wrote things perhaps played into that; there wasn't much checking, certainly. I mean, there's a story in the book that Sanjay Gandhi had at one time slapped Indira Gandhi six or seven times. That story was published by Lewis Simons, The Washington Post correspondent in India who is now a very big correspondent. He wrote this during the Emergency and he was expelled. What happens when you choke up all the avenues for communication in a society is that rumour has a field day. Delhi is a city of rumours. And, during the Emergency, it found even more reason for rumour. As I wrote the book, I had exercised some self-censorship. Some of the things I was told were so bizarre that I couldn't publish them. In one case, I think I did mention it in passing that people wanted to know what hold Sanjay Gandhi had on his mother because of which she was unable to stop him and gave him such a free hand. She was not prepared to listen to anything that was said against him. One of the reasons given at that time was that he had some pictures of Mrs Gandhi. There was no basis for this except that there was a guy called (yoga guru) Dhirendra Brahmachari who was very close to Mrs Gandhi and there was a rumour that the relationship went beyond yoga. But people believed it. Although there was no basis and nobody saw those pictures, the city was full of rumours. Image: There's a story in the book that Sanjay Gandhi had slapped Indira Gandhi six or seven times. But don't all sons have a hold on their mothers? This is the blind spot theory. I tried and explained in the book that Sanjay very craftily exploited the fact that he was spoilt because he was the younger of the two and that Rajiv was settled while he wasn't. He was dysfunctional and he seemed to suggest that he was dysfunctional because he was part of a broken home. And that he missed his father. And that Mrs Gandhi felt very guilty that she was not able to be a conventional mother as far as he was concerned. He exploited that quite well and that was the reason for the blind spot. Rajiv had done everything right -- he had a job, he had a wife, seemed well settled and had children. In the early years, Sanjay had nothing. He didn't have a job; he didn't have any great skills; he didn't have a wife; he wasn't settled. So he was mummy's boy. And mummy blamed herself for the fact that he had been brought up this way. There's an interesting anecdote relating to the time when Midnight's Children was about to be published in India. There were lots of things about Mrs Gandhi and the Emergency in the book, but there were two lines to which she objected. In fact, when (Midnight's Children writer Salman) Rushdie came to Bombay (as Mumbai was called then) at that time, he asked me whether he should remove those two lines. Everybody advised him not to since it would be censorship and she wasn't the kind of lady who could stand criticism, etc. Those two lines were about how Sanjay exploited his mother's guilt and used it during the Emergency. She finally had them removed. 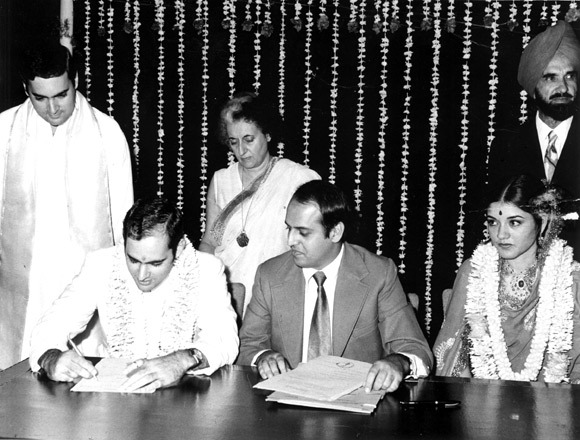 Image: Sanjay Gandhi, with his mother Indira and brother Rajiv, at his wedding with Maneka Anand.